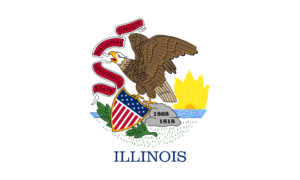 Illinois: Cannabis reform candidates J.B. Pritzker, Kwame Raoul, Bob Morgan cruise to victory – Cannabistical: of or concerning cannabis. Gubernatorial candidate J.B. Pritzker, who has been a vocal supporter of legalizing, taxing, and regulating cannabis for adults’ use, appears to have handily won yesterday’s gubernatorial election. While official election results are still pending, both the Chicago Tribune and the Chicago Sun-Times reported a margin of victory of around 55% of the vote. In the race for state attorney general, cannabis reform supporter Sen. Kwame Raoul also notched a win with around 54% of the vote. Both J.B. Pritzker and Kwame Raoul were rated A+ candidates by MPP leading up to the election for their strong positions in support of sensible marijuana policy. And a hearty congratulations go out to friend-of-the-movement Bob Morgan, who won the 58th District seat in the Illinois House of Representatives! Morgan headed up the successful launch of the state’s medical cannabis program, and as a private attorney, Bob has continued to be engaged in cannabis reform. He is a welcome addition to the General Assembly. Yesterday’s results come as Sen. Heather Steans and Rep. Kelly Cassidy prepare to introduce a revised bill for the session starting in January that would legalize cannabis for adults in Illinois. This moment is a huge step toward the bill’s passage and an exciting moment for those who seek an end to cannabis prohibition in Illinois. The post Illinois: Cannabis reform candidates J.B. Pritzker, Kwame Raoul, Bob Morgan cruise to victory appeared first on MPP Blog.